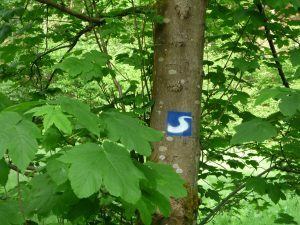 The Natursteig Sieg hiking trail is marked with a white S on a blue background. 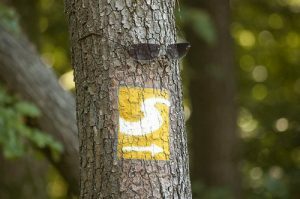 On all access trails, the white S is marked on a yellow background. 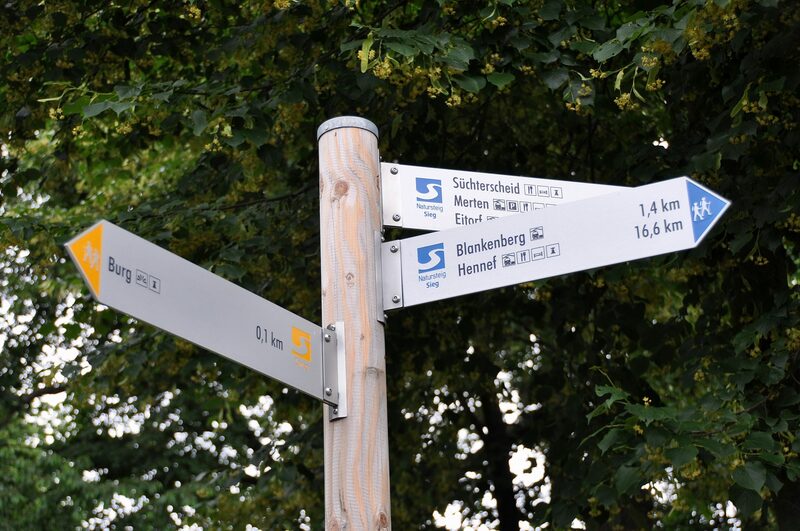 These are linking trails between the Natursteig Sieg and town/village centres and railway stations. 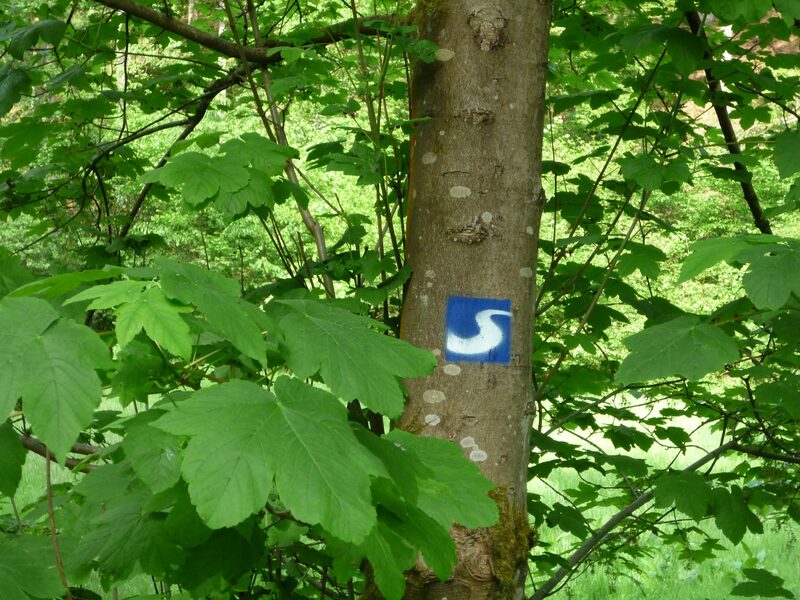 The Sieg Adventure Trails are signposted with red markings. 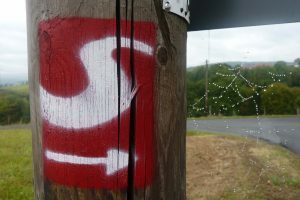 The markings display a white S on a red background. Signposts are for orientation purposes and provide information about the distance to the next town/village, the nearest railway station or the next stop-off point. Applied clearly within view of the walker. At a height of at least 2 metres (with exception of marking posts) at approx. 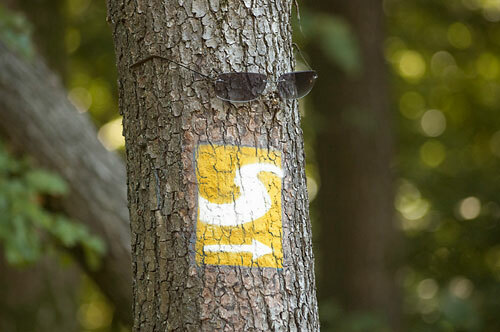 every 200 metres, so-called ‘confirmation marks’ have been applied, to show walkers ‘You are still on the right track’. After every direction change, not more than 50 m following the turnoff, additional ‘confirmation marks’ have been applied.